Some more new products Sneak Peeks today. 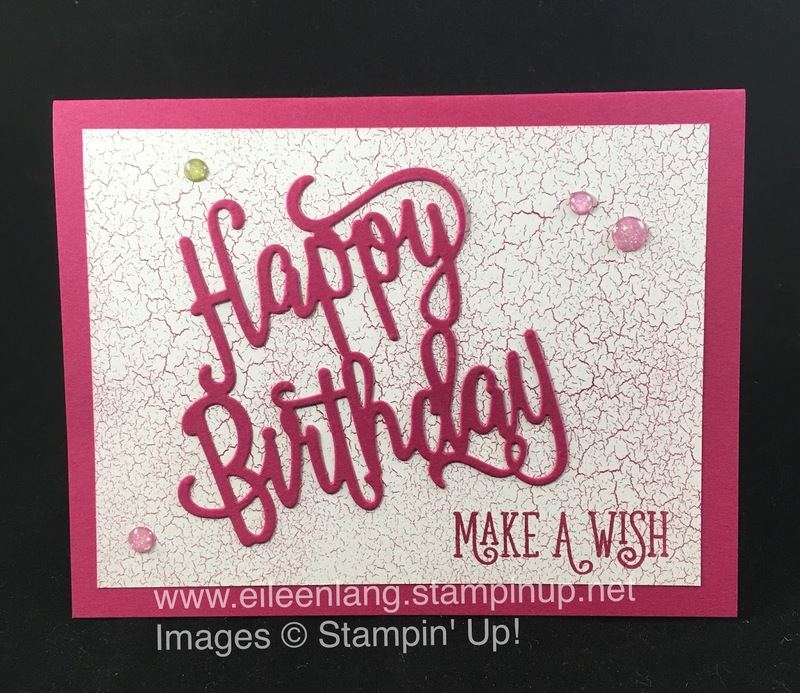 The Happy Birthday Gorgeous Stamp Set and the Happy Birthday Thinlit can be purchased together in a bundle when the new catalog goes live on June 1st. 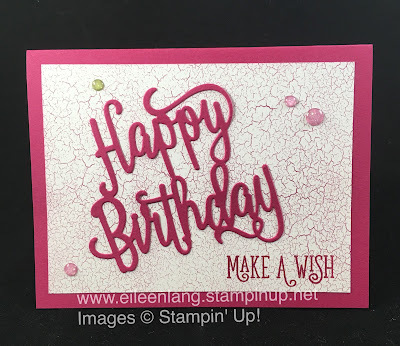 The large thinlit layered on top of some pretty paper, makes it really easy to make a quick birthday card. In addition, Stampin' Up! is bringing back the Multipurpose Adhesive Sheets and using them made adhering the large birthday sentiment a breeze. I also added some new embellishments to my card, used new in-colors and designer series paper, and pretty soon all of these products can be yours! June 1st will be here soon and if you need a new Annual Catalog e-mail me or leave a comment below.